We all know that the iPad is a tablet! We can use it for listening to music, browsing internet, make notes, write emails, etc. But, how about doing these things in a unique way or bizarre way? Do you have any friend who is an iPad hater? Well, then here’s how you hide the eye candy appearance of the iPad by wrapping a newspaper around it and read a newspaper article. 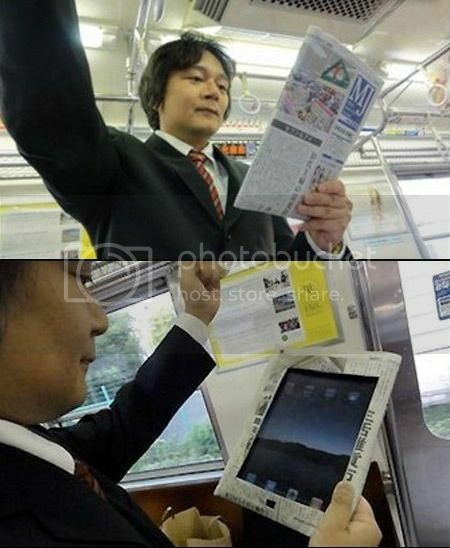 Here’s a picture of a foreign editor of a Japanese technology website using his iPad in a subway in Japan. Sounds, a bit puerile isn’t it? 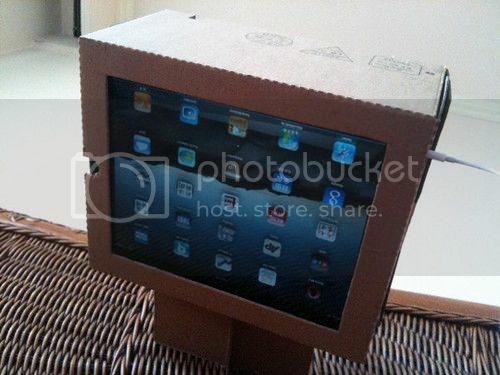 How to make a TV out of iPad? Jobless? Don’t own a television? But, you own an iPad, what can you do? Well, you grab a cartoon and make a TV for yourself. Here’s what this guy has done when he was jobless! Protest using the iPad! Definitely the next gen way of protesting! 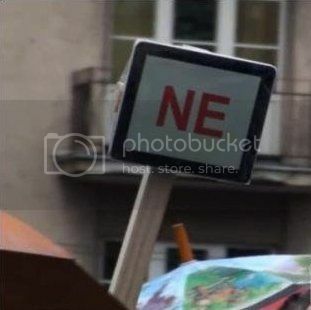 If you’re too lazy to write a signboard for a protest or shout loudly then why not use the iPad? All you need is a small stick to support the iPad! But, make sure the stick is strong enough to hold the iPad or else you might end up breaking your iPad into tiny bits! 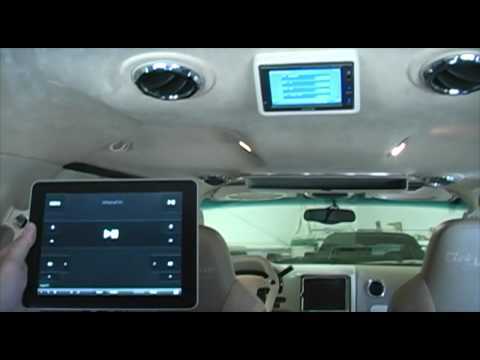 Transform your car into an iPad Heaven! Ok, so how these guys used their iPad with their cars is absolutely not eccentric but awe-inspiring! You should definitely see these videos.